...where your fish story becomes a reality! The first three events are shown. 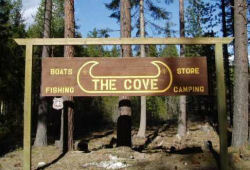 Welcome to the Cove Resort at Fish Lake! North-Central Washington's Cove Resort, surrounded by the Okanogan-Wenatchee National Forest, is located in Chelan County on Fish Lake near Leavenworth, Washington. The Bavarian Village of Leavenworth, only twenty minutes away, is a top tourist destination. Other family members can visit town while you fish. Guests can fish off the dock, rent a boat for trolling or still-fishing, or just simply relax and enjoy the quiet atmosphere. 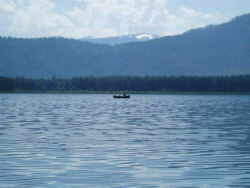 Use our boat launch for easy lake access. We’re stocked with food, beverages, tackle and gear, as well as the latest fish stories! to the store and the lake! You can rent 14 or 16ft. aluminum motor boats and row boats. We also offer 20ft pontoon boats. All you need to bring is your gear. 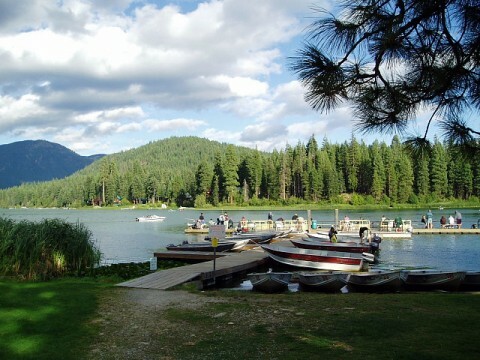 Our dock is located over one of the best fishing areas, and is a good place to relax and catch fish on a windy day. The Cove’s camping area has room for tents, trailers, and RVs. The campground has restrooms, showers, a playground, and RV power and water hookups! Call us at (509)763-3130 for availability. Our store is a quick source of bait and tackle, beer, wine, and groceries. We stock what the fish are biting on.